In light of the current recession and housing market downturn, real estate agents have to turn to new ways of creating and running their businesses. Social media marketing is one of the best, if not THE best way to do just that. The National Association of Realtors has a whole section of their website focused on social media for the real estate professional. The Field Guide to Social Networking for REALTORS® has eBooks, videos, and a ton of other resources to help you along the way. Ask around and you will be hard-pressed to find someone who hasn’t heard of Facebook. Even if they don’t use it, they probably saw the movie last year about it! And it’s likely that most people you know are using Facebook and have hundreds of friends. A word of caution on catapulting yourself into this too quickly: mixing personal and professional can be a very slippery road. Keep your personal Facebook profile and create a Fan Page for your business to keep the lines of professionalism from being blurred. Share information with your clients. This is an awesome way to share community information and events. You can use this forum for linking to other information like changes in real estate laws. Be careful not to make every post about a new listing, though. People will start ignoring you after a while. The whole purpose is to engage your fans and keep them interested in what is going on with you and your business. Here is where I will say too that you should not make every post on your personal profile about business. Your friends and family want to hear about the personal stuff, too. Twitter can be summed up as a micro-blogging service. You post tweets of 140 characters or less about basically whatever you want. Share real estate-related updates. Twitter is very easy to use and can be accessed in so many different ways. Most smartphones have an app for Twitter. Use Twitter via E-mail, text message, instant message or the normal way through the website. Some larger real estate firms use a separate account for industry information and one for listings. You choose how you want to run yours. The same applies with tweets as it does with Facebook posts: don’t bombard followers with all business. Give a little fun tweet once in a while. You will want to keep a human element here so that your followers don’t think that you are a Realtor robot. Facebook and Twitter are the mainstream social networking vehicles used by almost everyone. You will reach the biggest audience starting with either or both of these. There is an amazing opportunity to reach a huge amount of possible clients using these big networks. There are dozens of social media websites out that you can use to enhance your business. Some are just geared towards real estate and some are business or professional networking sites. I have listed below several sites that are worth looking into for you business. Trulia.com is a networking site dedicated to real estate listings. This free network is easy to use and gains tons of exposure for your listings. You can also upgrade to a pro plan for a monthly fee charged to your credit card. Zillow.com is another networking site for listings. It also has great information on mortgages and home values. Zillow is one of the few that has information specific to rentals. This site has so much information and great tools too. YouTube has quickly become a way to share virtual tours of your listings but it can also be used as a powerful tool in getting your message out. You can post community information videos and then share the link with your Facebook and Twitter pages. Linkedin is a business and professional networking site. Here you can reach out to other real estate professionals or other professionals that are related to your business to share, for example, referrals. You can get advice from your peers here and learn more about your industry. Blogs are a fun way to connect with clients and potential clients. Share industry information in a quick blog article using Blogger or WordPress. You have the ability to link to your blog through your Facebook page, your Twitter page, or your website. The truly great thing about social media marketing is that most of the time it’s free. How often do you come across free things that are good for your business? Many of these sites do offer add-on services or upgrades for a fee. You may find that the fee is more than worth it to get your name out there. About the author: Sierra Dawson is a social media advocate helping real estate agents compare business credit card offers at CreditDonkey. Remember, whether you are a seasoned veteran or a newbie to the world of real estate, now is the time to get focus your marketing plan on social media marketing. It’s pretty easy once you get the hang of it and most of the time it’s free! Stock up your next open house with snacks and drinks – with the help of a costco credit card, you’ll earn rewards too while buying in bulk. I do rentals and apartment spaces for a business and yes, Facebook is an awful lot of help –not to mention convenient. I post photos of them and shout vacancies and what not. It’s always effective. Especially when my schedule is sky high full, I just easily redirect clients to my business account and let them check out the vacancies there. And it’s free too! Wicked. Even real estate agents have to use social networking sites to connect with their potential customers. How powerful these sites are! They made it easier not just for people but also for businesses to reach out to their clients. 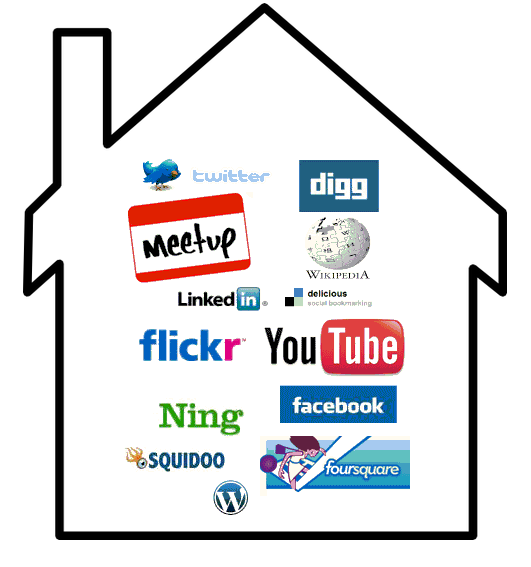 I wonder if real estate agents also do the selling through social networking sites. Maybe they really have the urge to gain a lot of buyers that’s why they will try to do sales talk even through social media.